The Nouv-Elle multi rope sphere necklace will add a touch of individual style to your casual looks. 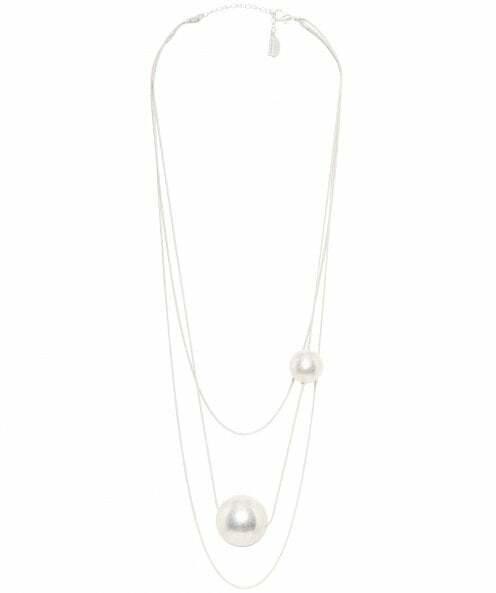 Boasting a multi strand design, this stylish necklace features two silver-tone spherical beads and a lobster clasp fastening. Layer your necklace over a plain t-shirt or dress to add a distinctive finishing touch to your ensemble.